Hey! Do you remember when was the first time you dine in TGI Friday’s? Me… think was many years ago, I think during my teenager days where I celebrated my sister’s birthday there. This place always leaves a good memories when someone celebrated their birthday, some happy occasions, just a class gathering or just dine with someone at TGI Friday’s. 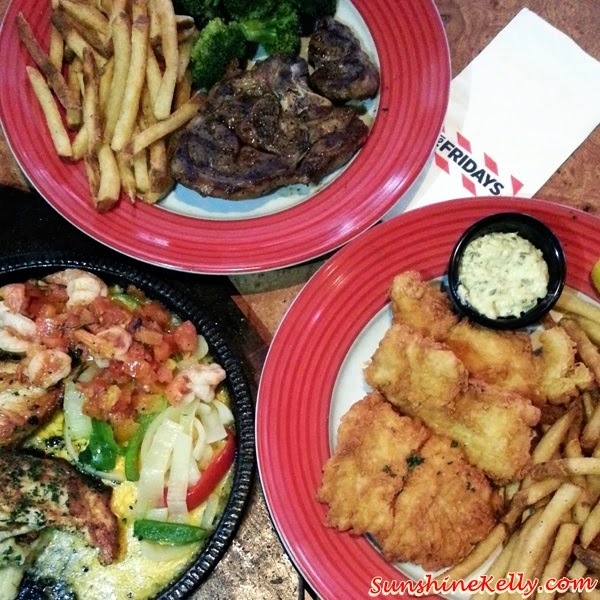 Good ambience, service, music, food and some things never change at TGI Friday's! What is your favourite dish at TGI Friday’s? As for me, besides the nachos as appetizer usually I like their Grilled Lamb, Sizzling Chicken & Shrimp and also the Fish and Chips. Well, their portions are quite big, it’s very satisfying and full. Oh ya, I just remember few weeks ago I celebrated my classmate’s engagement at the TGI Friday’s Curve. Well it’s just was just a small group of is about 8 close friends that she invited. That night was blast, we had a great time. 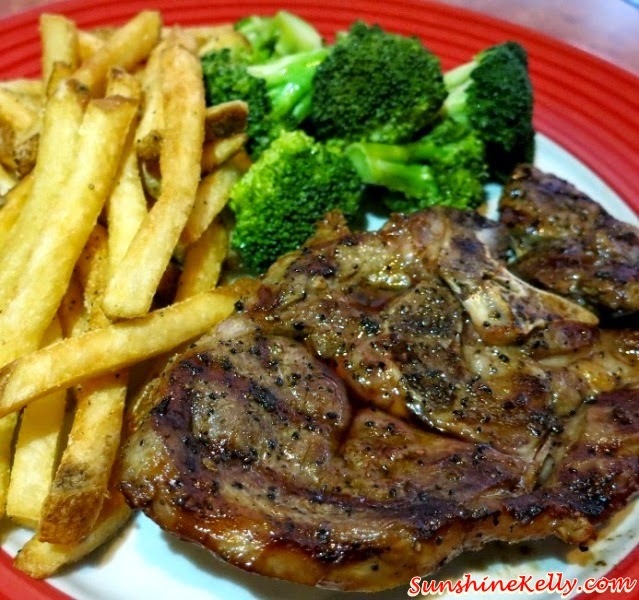 I love Grilled Lamb and TGI Friday’s did it just the way I like it. Succulent marinated grilled lamb (quite a big portion) served with seasonal vegetables and crispy fries. Usually I order Fish & Chips for lunch. Three pieces of fish fillets battered and fried to golden brown and crispy. Served with crispy fries and tartar sauce. 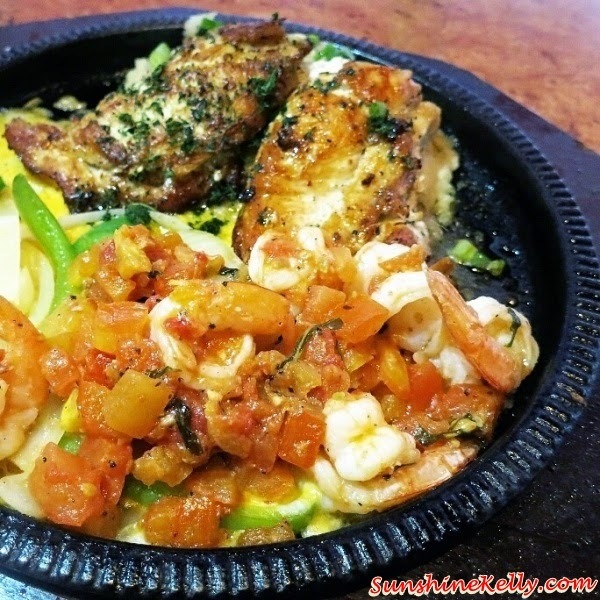 One of the sizzling main course that I never get bored is the Sizzling Chicken & Shrimp! The portion is consider big and price are reasonable. I like the tangy and sweet juice chicken and shrimps. Sautéed garlic-marinated chicken breast and fresh shrimp tossed with zesty roma tomato-basil salsa. Served with onions and peppers and Cheddar cheese mashed potatoes on a sizzling platter of melted Colby and Jack cheeses. Kelvin, no la I am not able to finish all the 3 mains. I shared with my family members.